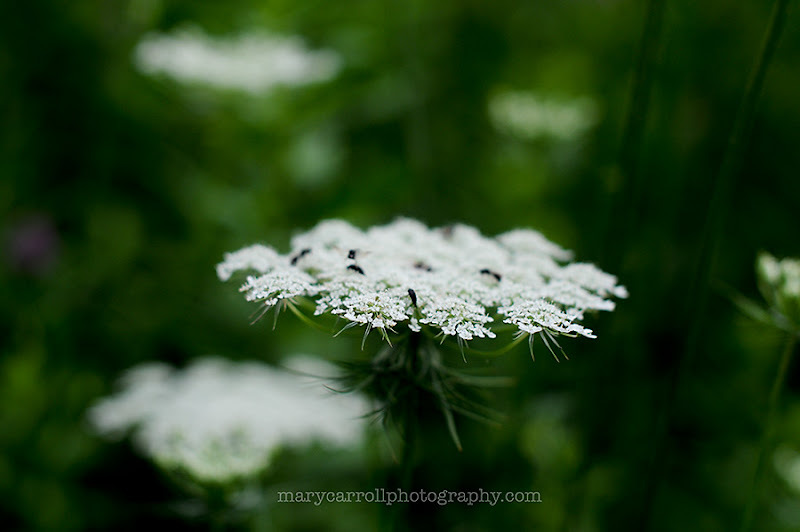 Happy Birthday to your husband Mary...love the pictures of the Queen Annes Lace flowers especially! 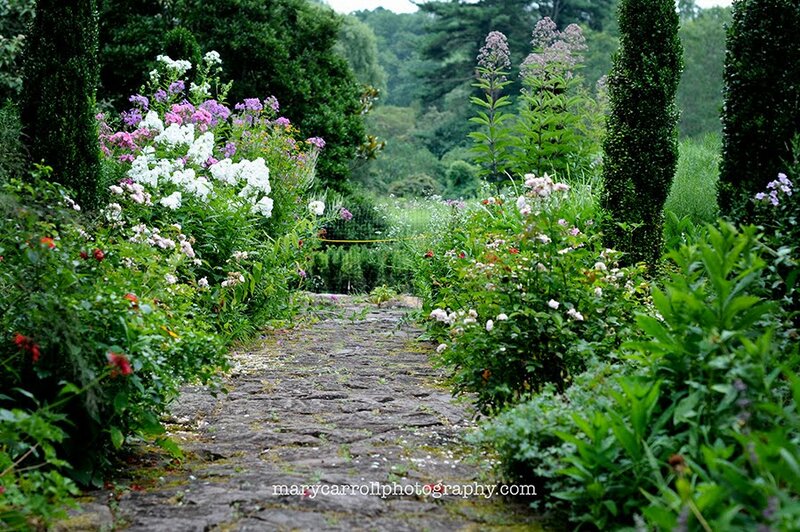 You are fortunate to live close to such a beautiful natural garden, Mary! I love wildflowers. Enjoy your time off ..summer is fleeting! Happy birthday in advance to your husband. New Jersey is looking beautiful, Mary. Your photos and the flowers are gorgeous. Have a great week! It does indeed look like a beautiful magical garden. Beautiful shots. Enjoy your little break. These mosaics are so absolutely beautiful and green! Our gardens are all but gone. The grass is crispy and so are our flowers. I enjoyed this post so much, Mary! Happy Birthday to your husband! My flower beds are worse than pathetic - need too clean them out. It has just been to hot. Thanks for hosting agaqin this week and enjoy your break! Willowwood is gorgeous. Thanks for the tour! Happy Birthday to your husband. Enjoy the time off and don't work too hard! ...I also loved this sentence: "... is guarded by sentinels of dark evergreens." I dunno why but I loved the thought of that. ...Thank you for the lovely photos and the inspiration! Once again, absolutely lovely photos! the close up of Queen Anne's lace is spectacular. My garden is overrun with weeds this year too. Our very hot July was perfect for weed growth and not so perfect for pulling them so I let them go. I must have pulled 20 pounds of weeds in the past two weeks. Thank you for hosting, Mosaic Monday, Mary. Beautiful garden pictures Mary. Happy summer! Just delightful! You can really coax out such beauty with your lens!!!! Another lovely garden. Enjoy your week off! A lovely garden again and again and again! Thanks for sharing all! New Jersey in the summertime is so beautiful. 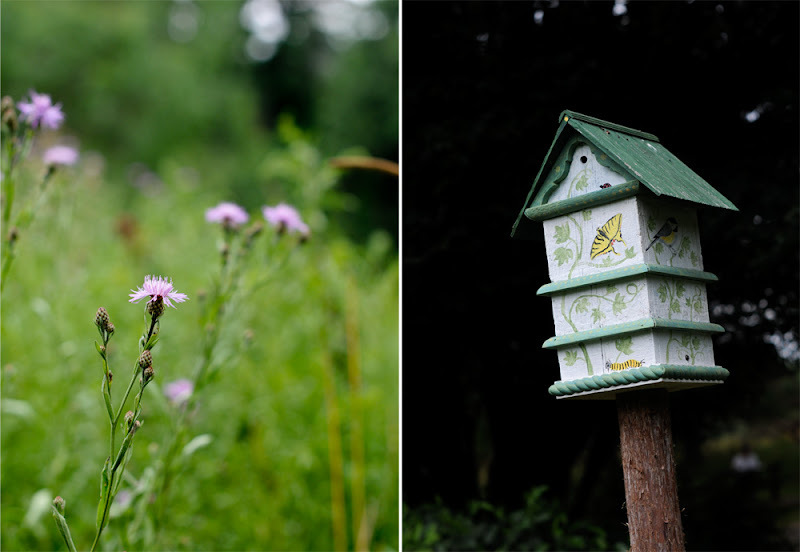 You area very lucky to have so many wonderful gardens nearby - and we're lucky that you share. Thank you for organizing this link party - I hope you have a lovely time next week! The metal work is lovely and it always catches my eye! It is great that through blogging we get to see gorgeous gardens all year round in spite of the winter over here I get to drool over your stunning pics on the other side of the world! Sigh. I just know i am going to be totally snap happy when visiting open gardens this year! Another beautiful garden. Enjoy your time with your family. Just 20 minutes away? That's lucky for you. Willowwood looks so pretty. Thanks for the tour. enjoy your BUSY week off! congrats on your NEW BUSINESS..
Congrats to hubby on his special day..
cherish these precious moments with daughter! What gorgeous blossoms! Thank you for sharing! What a lovely garden. 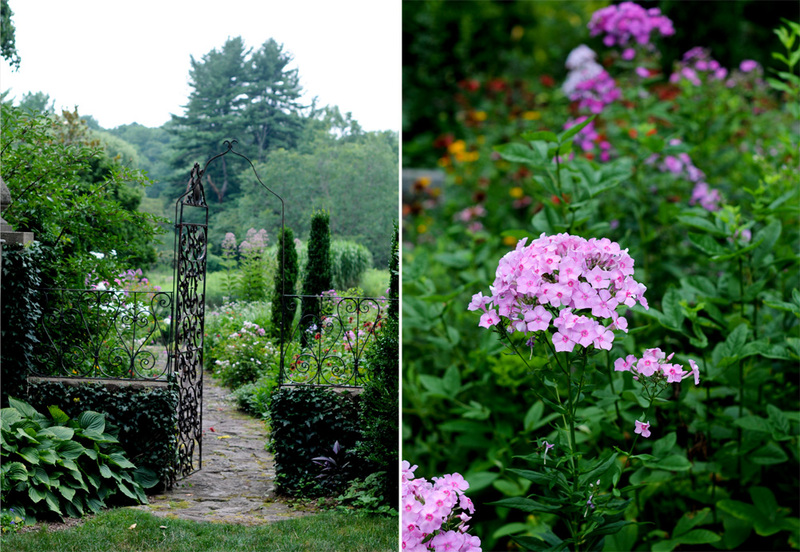 I can just smell the phlox. 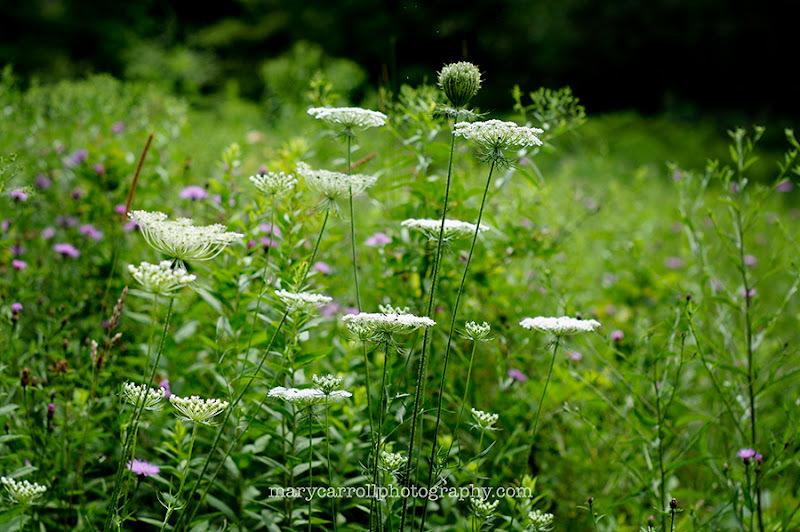 The Queen Anne's lace is gorgeous. Have a nice celebrating, and see you soon again! That part of NJ is looking much nicer than my little part of the Garden State. Weeds are pretty pushy these days, still, despite some vigorous weeding in the last week. I only have ONE phlox blooming -- when usually I've got about a dozen. I don't know what happened. I suspect the nasty winter took its toll. My rudbeckia isn't doing as well as usual either, but ... it will roar back next year I hope. Last summer when Howard was cutting our grass himself, he didn't do one section that is a drainage gully -- and it bloomed all on its own in gorgeous wildflowers! The landscape guys insist on mowing it down, so next year I may have to do some negotiating with them. Beautiful images ... the greens and whites and pinks look so charmingly casual and cool. Have a GREAT time this week -- enjoy it all! Especially spending time with your daughter; I did as much of that this summer as I could. Beautiful, beautiful, beautiful! Always love to drop by! Your photos are refreshingly beautiful. It's hard to believe it's been 25 years since we moved from North Jersey ... it seems far away now, Have a wonderful week of celebrations and time with your daughter. Mary all are just gorgeous. Such lovely images. Wow! Incredible blooms. My gosh the beauty in your photos are just stunning. So marvelous and outstanding! Stunning garden! Thanks for sharing! It's been awhile but I see that your blog is still just as beautiful as ever! These pix are gorgeous and I am planning a trip here soon! You have such an eye for capturing beauty in a photo! I'd love to see that first one as a huge painting in oil. Enjoy your time to yourself...sounds like you will be very busy! Do you see how enthusiastic and emphatic so many of the comments up above are? I feel it to. 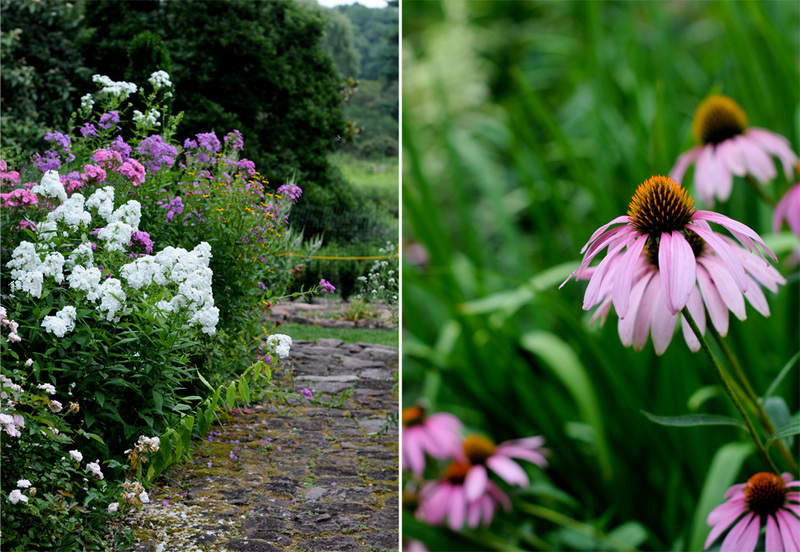 I was happily reading about you adventures in SF and scrolling down and came to a full gaspity-gasp stop at that first photo with the path and phlox and yew. do you see all of the enthusiastic and emphatic exclamations about this post, up above? Well, I heartily agree! I was cheerily scrolling along through your beautiful photos and news of your trip to SF, when, I got to the garden path with the phlox and the yews and stopped dead in my tracks. It's, for sure, a gaspity-gasper! It's so refreshing. I started to scroll down as if I was in a dream. ;) Of course, I completely knew where I was. I remembered it from your past posts. I've enjoyed your garden posts, this summer. It's like reading a favorite magazine - no joke! So much inspiration!